To add to my previous comments; it cost 4€ for 15 minutes in the washing machine. 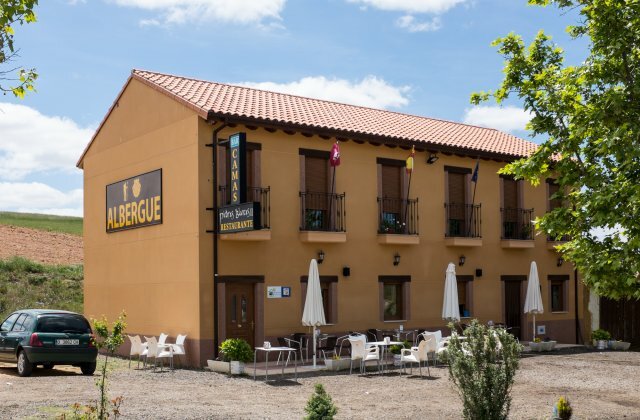 Every other albergue charges between 2-4€, but allows 30 minutes for a wash. Our clothes smelled of cheap detergent but weren’t clean. The hosts are friendly and kind, and gave us a warm welcome, but we were very let down by the meal and didn’t appreciate being charged 4€ for half the washing time for our clothes. Too bad that this town offers limited options. When I walk the Francés again I will bypass Reliegos. Worst food on the Camino so far. Soups are from a can, fruit was old and no vegetables served here. The dorm rooms are spacious and the beds are comfortable, but the linens weren’t clean and neither was the floor. I was originally booked elsewhere, but the Albergue was closed so I stayed here. Very disappointing indeed.